I will fully admit to being inspired by what other people wear. (After all, isn't this why we read blogs like Garance Dore, Sea of Shoes, and so on?) Sometimes I see a picture of someone wearing something and I get obsessed—--at times I want to recreate a whole look, but sometimes I just focus on one piece. When I saw this story in Who What Wear Daily, my eyes went straight to Olivia Palermo's shiny silver Oxfords, which, unfortunately, are last year's Sergio Rossi. 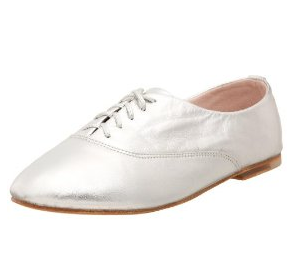 Fortunately, Oxfords are slowly becoming the new ballet flats, and there are more and more styles hitting the stores. 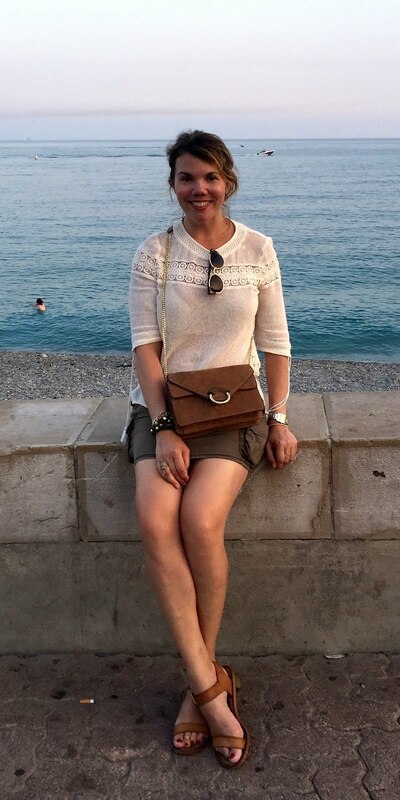 I love the idea of a metallic pair--they're not so overtly masculine, and they add a nice contrast, especially if you're wearing them with neutrals. The good news, too, is that Oxfords were everywhere on the spring runways, so you can continue wearing them all next year. Another good thing about oxfords is that I couldn't find a truly expensive pair. 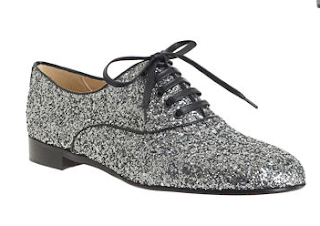 Even these Christian Louboutin Fred flats are less than $600 (not exactly a bargain, but as far as Louboutins go, they're definitely on the lower end of the scale). These are a fun choice, obviously, because they're glittery, kind of like a boyish, neutral reinvention of Dorothy's ruby slippers (except there's ruby on the sole). 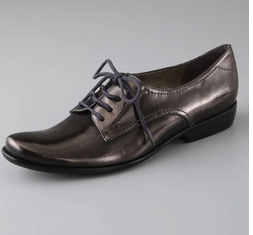 These sleek Italian Derby lace-ups from Stephane Verdino remind me the most of Olivia's Sergio Rossis. The design is clean and simple and will look especially great with pants. One of my favorite pairs--in fact, the one I'll probably end up buying--is Pour La Victoire's Charlie Oxford flats, which have a nicely distressed patina and a heavily padded footbed (I inspected them at Bloomingdale's last weekend)--unlike ballet flats, the more substantial Oxfords tend to have great arch support. In a similarly distressed vein, Nine West's Ronnie shoes are already quite popular—-they're backordered until the end of December. 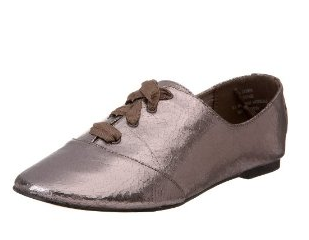 Bloch London's jazz flats are more in the jazz-shoe vein, which makes them kind of hipstery and less supportive, but also softer and more feminine than the typical menswear-inspired Oxford. 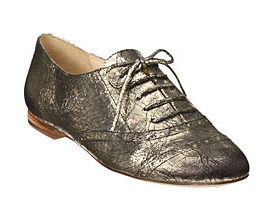 Mia's Backstage Oxfords have a really cool crackled finish and come in several colors (and are so affordable, you can buy one in each color). We offer sports shoes sale mbt shoes uk ,like mbt shoes and mbt shoe where sale discount mbt shoes and cheap mbt shoes,mbt shoes sale on sale, you can buy mbt shoes there world best anti shoes online store!! mbt anti shoes and anti shoes online store!! I will be linking from my blog to yours in a post this week. 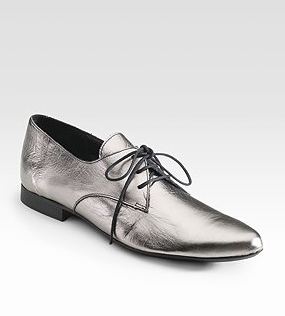 Thanks for the great info on silver oxfords. Love 'em!